The union of ex-Whitesnake men Micky Moody and Neil Murray with powerhouse vocalist Chris Ousey, Wishbone Ash guitarist Laurie Wisefield and Thunder skinsman Gary ‘Harry’ James was always likely to create a strong band unit. Under the name Snakecharmer, their debut collaboration – along with keyboard player Adam Wakeman – served as concrete proof. Since the album pushed all the right buttons and a little more, their live show was probably going to be equally as solid; and when Snakecharmer played a one-off show at the Islington Assembly Hall in London, a gathering of classic rock fans got to experience the then still relatively new gathering of old friends first hand. Euro symphonic metal band Delain are set to release a special CD at the end of spring 2013. ‘Interlude’ rounds up various leftover tracks, remixes and live recordings in one easy package. It marks the first time the band’s version of the Bronski Beat hit ‘Smalltown Boy’ has been issued on CD, having only ever been available as a free download previously. Whether it involves cranking out sweaty rockers like The Dead Exs or tackling tunes with a much more panoramic (and perhaps more commercial) feel as per The Black Keys, the stripped back nature of the blues duo comes with a surprising amount of musical mileage. 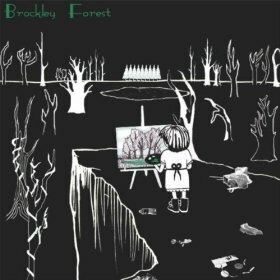 With relatively no time for fancy flourishes, the garage blues genre is often – although not entirely – reliant on a sense grit to make the songs stand proud…and when it comes to grit, there’s plenty to be found on this debut EP by Brockley Forest. The Aprons have released a lavishly animated video clip for their song ‘Sound Stain’, which you can view below.